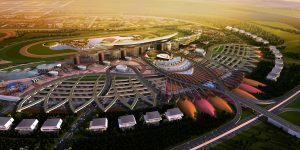 Located in the heart of Dubai, Meydan Free Zone provides the unique opportunity to. Offering highly competitive start-up costs without compromising on standards in location and ease of incorporation, Meydan Free zone drives your business with state-of-the-art telecommunications and high-speed internet connectivity. Having the flexibility to operate through a flexi desk as opposed to having to get a full time office makes it easier for you to focus on maximizing your business without having to pay high commercial rental fees.